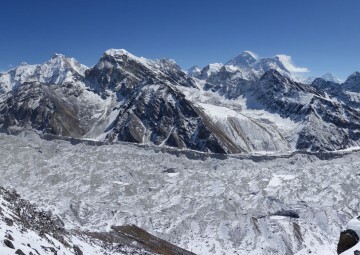 Everest Region Trekking – Everest Region is as good as a Vatican city or even a Mecca for trekkers while Trekking in Nepal. 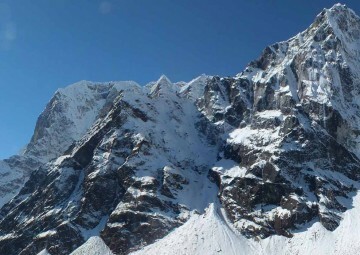 An iconic legendary trekking destination taking trekkers to an ultimate horizonal limits as far as they can set their eye upon the highest majestic mountains of the world. A hostile land with splendors and magnificent mountain ranges standing loftily engulfed in snow capped backdrop of cobalt sky providing the essence of stupendous beauty. Uncompromisingly standing at an astounding elevation of mammoth 8,848 meters amidst a sea of towering adjoining summits is staggeringly mouthwatering. 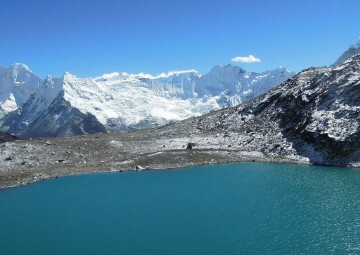 Everest Region Trekking is not complete and rewarding unless the adjoining summits like the kalapattar and Gokyo RI are not glimpsed and scaled. 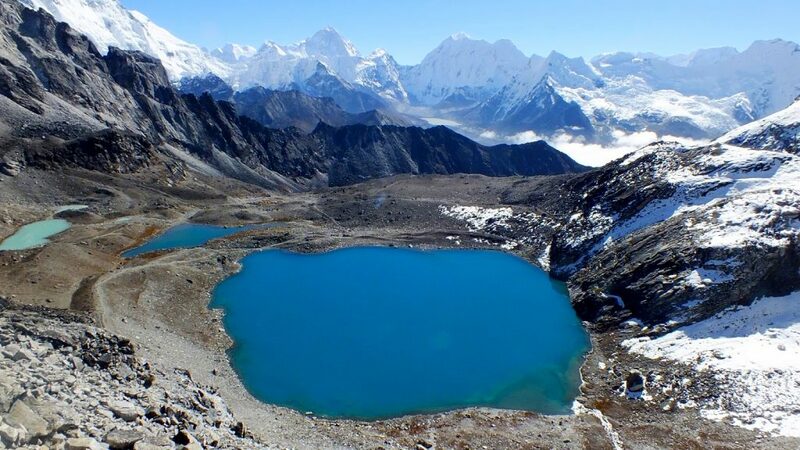 Everest Region Trekking is attempted to quench the thirst of standing aloof solitarily and be there closely to admire the mysteries of glacial mountains. As it holds various other beautiful peaks like Ama Dablam, Kwangde, Thamserku, Pumori emerging above the hills all along the trek with breathtaking mountain scenery of the deep forested valleys, Dudh Kosi river rushing below, picturesque waterfalls, giant red rhododendrons, the amazing shapes and shades of the mountains beyond the tree line, the sobre glaciers and not to forget the Sherpas who own the majestic region. 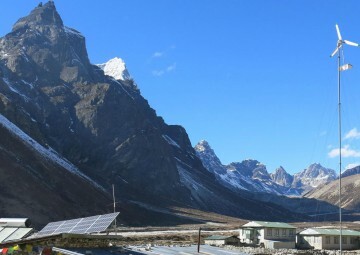 The Everest Region is also known as the Khumbu region has succeeded to maintain its picturesque feature of shingled roofed houses overlooking the terraced fields and the ancestral villagers preserving their cultural and traditional attributes over the centuries till date is amazing. Typically following the age old Tibetan habits and traits are by and large the basis on which the lifestyle in this region has evolved over the years. Still primitive are its practices which are harsh and communication and transportation difficult and laborious as there are no adequate or systematic roads as such and automobiles to streamline their lives, daily agricultural chores are done in this Himalayan region with the help of animals. The only sound of vibrations one can hear in this vast landscape is only from the hairy yaks with the jingling bells ringing while carrying provisions to and fro from one corner to the other on the distant deserted hazy mountain paths. 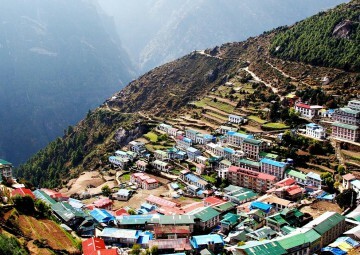 Namche Bazaar is the only Sherpa settlement one can find beaming with various restaurants and shops, however keeping its aura of Shangri-La intact till today. 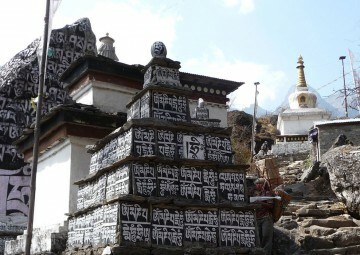 Also while on the Everest Region Trekking you can visit the ancient Buddhist monasteries where the lamas in their ochre attires chant ancient prayers and perform ancient rituals, with swaying of ancient colorful flags hung on the poles and bridges releasing a spiritual air as they flap in the wind and walk through the chortens and Mani walls that mark the winding trails you hike. 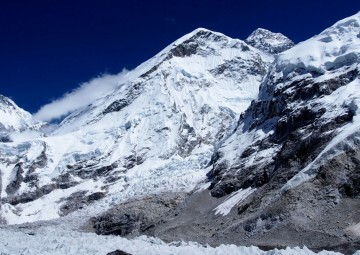 Everest Region Trekking is primarily to see the Mount Everest and its adjoining summits, and if the clouds obstruct the view the trek looses its significance. 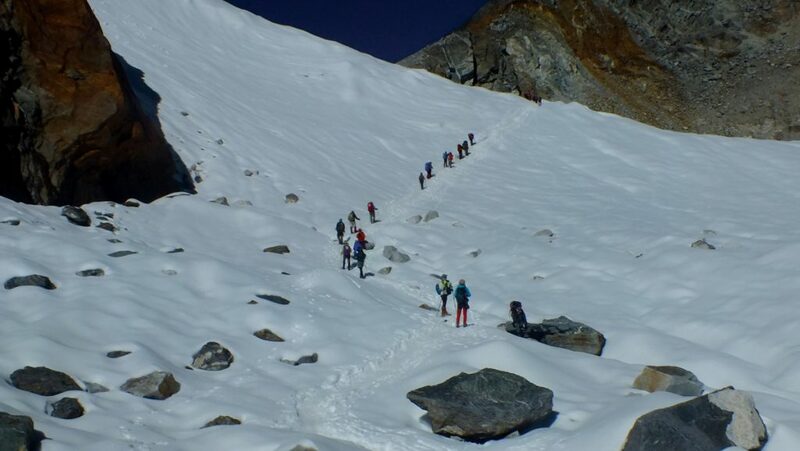 Clear weather is a vital requirement for trekking and mountaineering in the Everest Region and the beauty of the Mountain is best appreciated when the sun is out and the best possible time when the light and shades hue and colors comes alive in this peak centric trail. Therefore a timely visit in the spring and autumn season is the best to get a full value for your trekking expedition which ranges from March till May and from October to December. 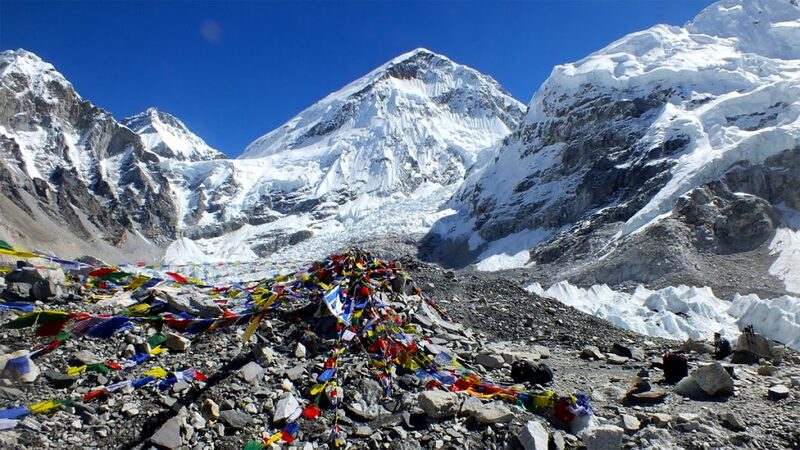 Everest Region Trekking is an historical affair, an unforgetable historic experience to be on the same platform as the world renowned mountaineer Sir Edmund Hillary and the legendary Tenzing Norgay Sherpa. 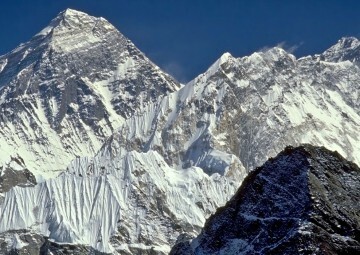 Everest region can be accessed overland following the footfall of the first climbers via Jiri and also by flight to Lukla. 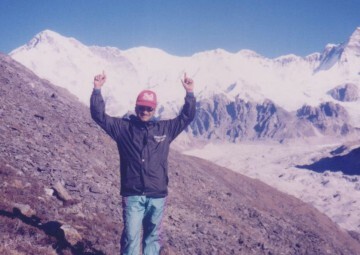 Mountain Tiger Nepal has been successfully running trekking and mountaineering programs accessing from both vantage points i.e., Jiri and Lukla. 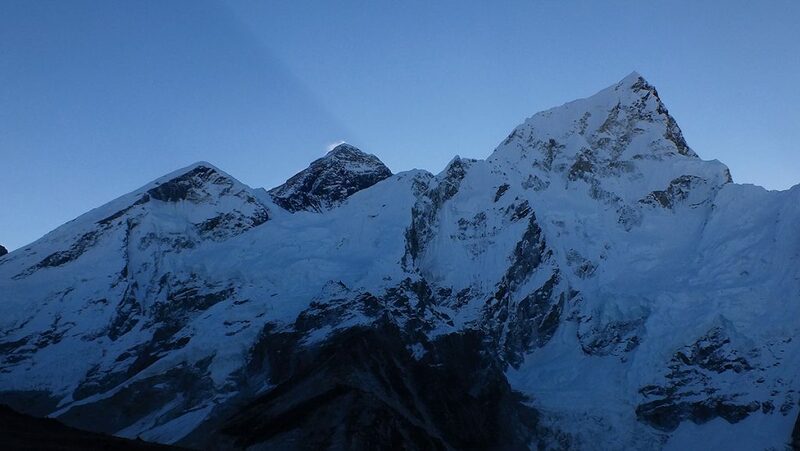 Be there with us and be a part of this monumental journey to the highest peak on the planet.